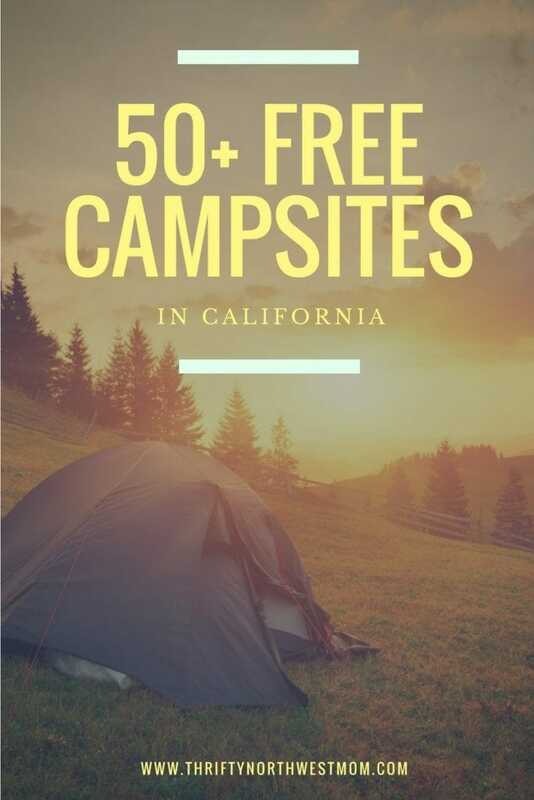 Our free camping guides for the Northwest (Washington and Oregon) as well as Free Camping in California have all been so popular, so we wanted to expand & offer more camping options for those in the Northwest. 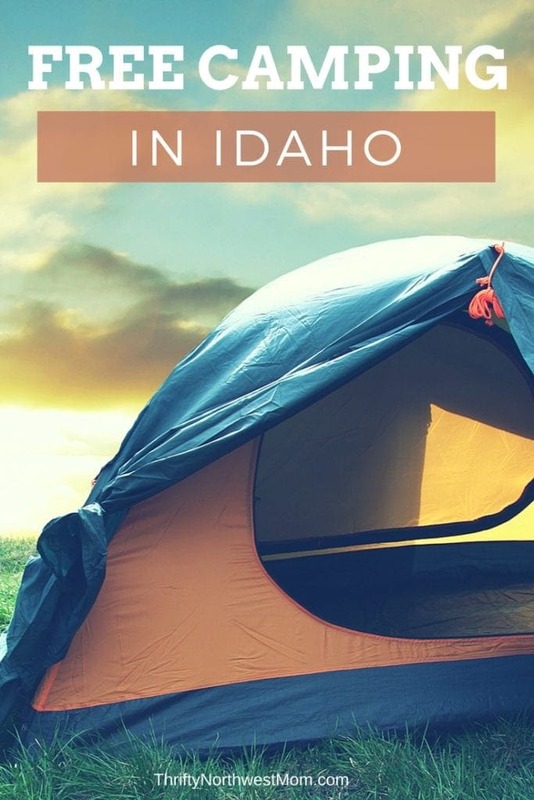 Idaho is one of the most beautiful places to get away from it all & head out to the great outdoors for camping, so we wanted to put together a list of resources & campsites for you to camp at for free in Idaho. There are a number of public lands that offer camping at no cost in Idaho and the crowds may be less there, too, meaning you could have an easier time finding a place to camp than some of the other areas around the Northwest. 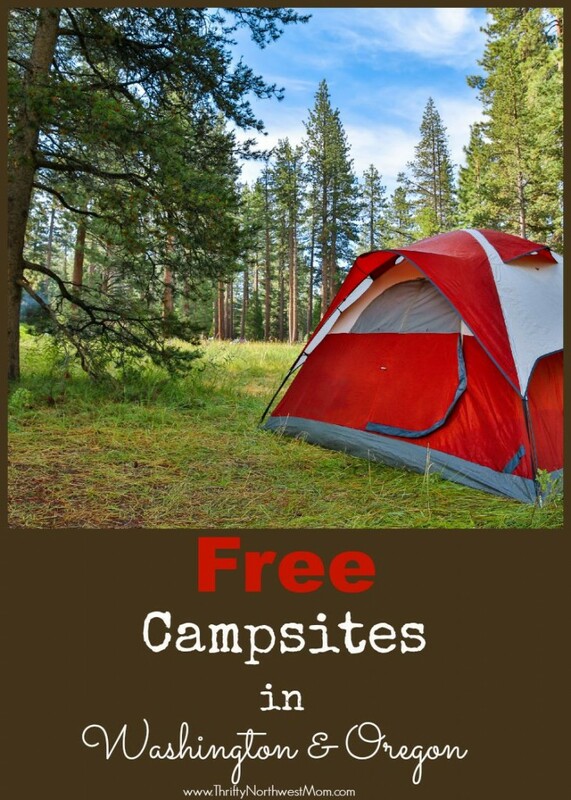 Remember that when you go camping for free, these are typically available first come, first serve and they usually have very limited or no amenities like water, picnic tables, flush toilets, etc. But if you’re willing to “rough” it & just bring the supplies you need ahead of time, you can find some great, out of the way spots & make some amazing family memories on a steep budget. Also, here in the Northwest, the most popular time for camping is of course in the summertime, but many locations will open up their sites with free or reduced rates once the busy season has passed, so those are great options as well to check it out in the fall or spring when we still might have some beautiful camping weather. We’d love to hear all of your suggestions & tips on where you’ve found great free campsites in Idaho & if you have any reviews or tips to share about any of these locations we’ve found. 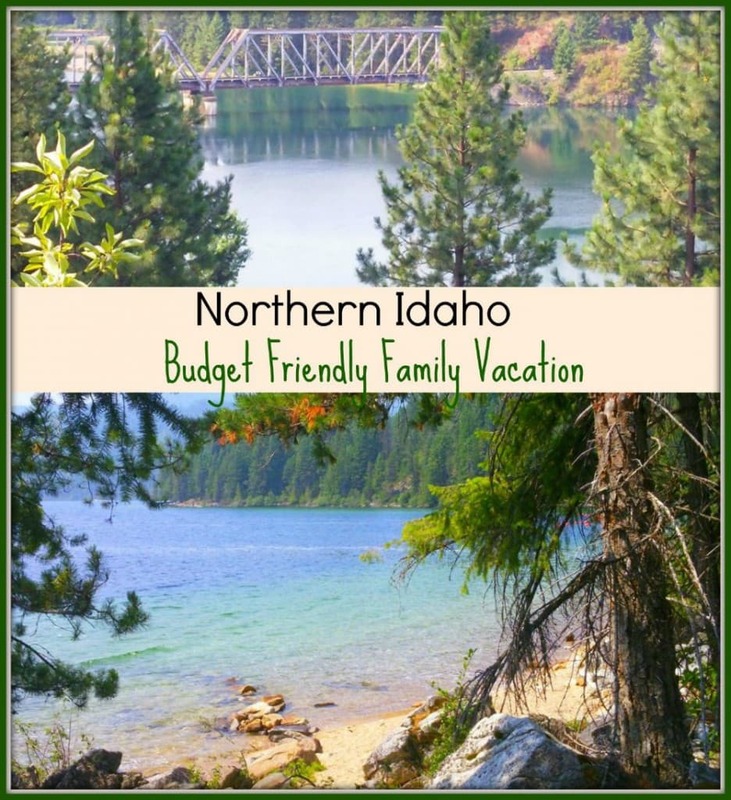 We have just featured a highlight of free campsites that are found in Idaho, but there are many more that are available. Here are some of the resources we found for finding free campsites in Idaho for you to see if there are more options in an area you want to check out. You can find available campgrounds that need hosts by searching this website for National Parks & Forests all around the country. At the time of this post, I found over 10 locations that needed hosts, this list is constantly changing, so definitely check that site out to see if there’s an option that will work for you. I would think you’d need to schedule this out far in advance though. Smith Lake – Bonner’s Ferry, ID – This campsite is open from May until September. You may camp here in a tent or an RV with a maximum length of 16 feet. There is access to drinking water and vault restrooms on site. Tons of wildlife in this area too! Whiskey Rock Bay – Bayview, ID – This campsite is open from May to September. There are 10 campsites available, 3 of which are next to the water. Vault restrooms are on site but no water is available. Granite Lake– McCall, ID- There are 7 sites available here with trails leading to and from the campsites. The road into the campsite is not appropriate for RV type trailers. This spot if great for tent camping. Each site does have a picnic table and fire ring with vault toilets available for use. Solomon Lake – Moyie Springs, ID – This is a dispersed camping area with no water access for drinking. You must bring in your own water when you stay. There are vault restrooms on site for campers and the site is accessible fairly easily by anyone. Kamiah City Park – Kamiah, ID- The road into this campsite is a gravel road. There are 6 to 15 campsites but there is some RV access with the exception of no RV’s over 40 feet in length. Camping is free without electricity usage and there are restrooms and drinking water available. Sublett Reservoir – Malta, ID – The road into the campsite is gravel. The campsite is opened from summer to fall with up to 5 campsites with a maximum stay of up to 14 days. The campsites have fire rings and picnic tables and there are restrooms for public use. McCroskey State Park – Plummer, ID – Primitive and standard camping sites are available here. There are vault toilets and potable water on site. Each campsite has a fire ring and picnic table at each of the 9 campsites. Breakwater– Cataldo, ID-This campsite is completely primitive camping only. There are several options to choose from. There are no bathrooms or water to use on site other than the creek. Camping here means you need to take out any trash you have as well. Canyon Creek – Orofino, ID – This campground is developed with a boat ramp, dock, outhouse and camping sites with a picnic table and fire pits. It feels rustic due to the unfinished condition of the roadways and camping sites. The area is heavily forested and is situated right on the water. Canyon Creek has two vault style outhouses, both in good condition and well stocked. There are 17 camping sites, each with a picnic table & fire pit with grill. Birch Creek Campground– Leadore, ID – There are established and primitive campsites available here. The developed campsites with fire rings and picnic tables make up about 25 sites and primitive campsites are optional throughout. There are also restrooms for public use. Bill Frome County Park– Island Park, ID- There are 40 campsites available for camping with a maximum stay of 15 days on site. Most of the campsites do have fire rings and picnic tables. There is no water or electricity available but vault toilets are in camp. Henry Lake BLM – Island, ID- Access to this campsite is through a gravel road. There are 6-15 campsites available for use on a first come first served basis. If you camp in an RV the length can be no longer than 45 feet. You may stay up to 14 days on camp. There are some restrooms but the camp is primarily a dry camp. Targhee Creek Trailhead – Island Park, ID- Access to this campsite is a dirt road only. The options for camp are either tent or RV but the RV length can not exceed 35 feet. You may however stay up to 16 days here. There is a fire ring on each campsite. This is a dry camp with no restrooms or water available. Herrick Reservoir Access– Cascade, ID – This is a dry campground only. There is no water or restrooms. You must take our what you bring in. There are some really good spots for fishing and access to the camp is easy by paved road. Short’s Bar– Riggins, ID- The free camping area is on the left hand site of the campground and you may park near the river. The campground has dispersed primitive camping with a 14 day stay option. There are pit toilets on site. Josephus Lake Campground– Stanley, ID – The road into this campground is a dirt road but there are options for tent and RV camping on site. Your RV may not be any longer than 15 feet. You may camp here for up to 14 days. There are 2 vault toilets in the campground. Each campsite does have a fire ring and picnic table for campers. Irish Point Dispersed Campground – Boise, ID- Camping here is optional for tent campers and RV’s. The road in is dirt and the option to stay is no longer than 14 days. There are no water or garbage services available, but there is an outhouse toilet. This campground is a great fishing spot. Silver Creek West Access Campground– Picabo, ID – The road into this campsite is gravel and only about a half mile from the paved road. There are only 5 campsites here and you can stay a maximum of 10 days only. There is not any public use for drunking water but there are vault toilets available. McClendon Spring Campground – Malta, ID – There are about 5 sites available for camping. If you plan on bringing and RV it can be no longer than 35 feet. The road entrance in is a dirt road. There is no water but restrooms are available. Sublett Reservoir – Malta, ID – This is a dispersed campground only with a 14 day maximum stay within a 28 day period. As with other primitive sites you must take in your own water and be prepared to take garbage with you when you leave. There are no restrooms or drinking water on site. Good Enough Creek Campground – McCammon, ID – There are 13 primitive campsites available here. Not all of them have picnic tables and fire rings but most do. There are vault toilets on site and a playground for small kids. You must also remove all your own trash. Snake River Dispersed Camping– Hazelton, ID – You may camp dispersed along Snake River. The road into the site is dirt. There is no water or restrooms available. People who plan on camping in an RV need to scout the area first for terrain issues. Deep Creek Reservoir – Malad City, ID- The road into the campsite is gravel and about a mile off of a paved road. This campsite is also open year round with 15 campsites available. Maximum RV length for camping is 35 feet. There is access to a pit toilet and they do have a boat ramp to access the water. This is a great spot for fishing. Wolf Flats– Ririe, ID- Campsite access here is down a gravel road approximately 6 miles off of the paved road. There are 15 campsites available with the option to camp dispersed only. There are fire rings available but no water or trash services. Palisades Reservoir Indian Creek– Irwin, ID- This campsite is open year round with over 30 campsite options. There are no restrictions on RV length and you may stay up to 5 days during peak season times and up to 16 days during off season times. There are fire rings and restrooms available. If you’re looking for a resource for low-cost and more campgrounds, check out the Idaho Campground Review website – they have reviews of a large number of campgrounds all over Idaho & I found that they did list many that were low-cost, even free — but they are not organized that way. You will need to go into each campground in the area you are looking at and see what the price is for the campground. But it’s a great resource to look at a big list & read the reviews. Make sure to check out all of our tips on camping, reviews of campgrounds, ways to save money when camping, camping with kids & more on our Camping page. What are your favorite campgrounds in Idaho? We’d love to hear where you love to camp!